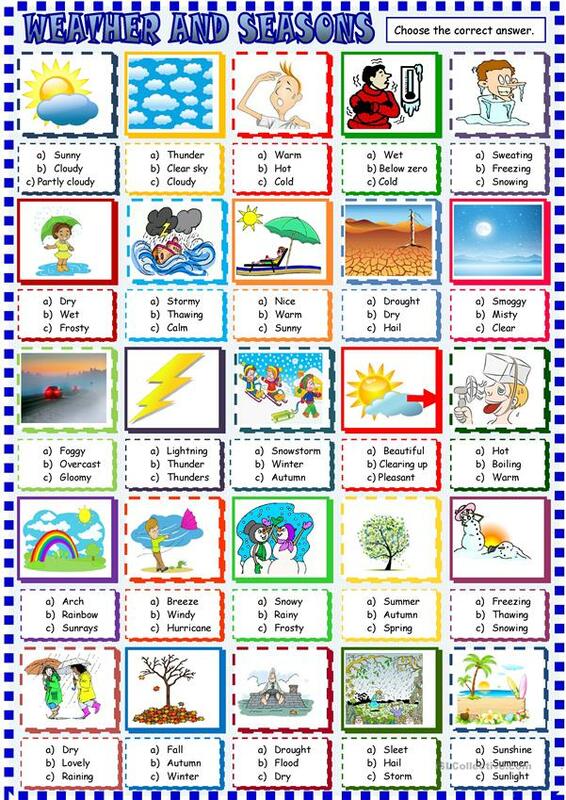 Pupils have to choose the right word for each picture about weather and seasons winter, spring summer autumn rainy clearing up, thawing hail sunny hot cod freezing.. The above downloadable worksheet is meant for elementary school students and kindergartners and nursery school students at Beginner (pre-A1) and Elementary (A1) level. It was designed for developing your groups' Reading skills. It focuses on the topic and words of Weather.